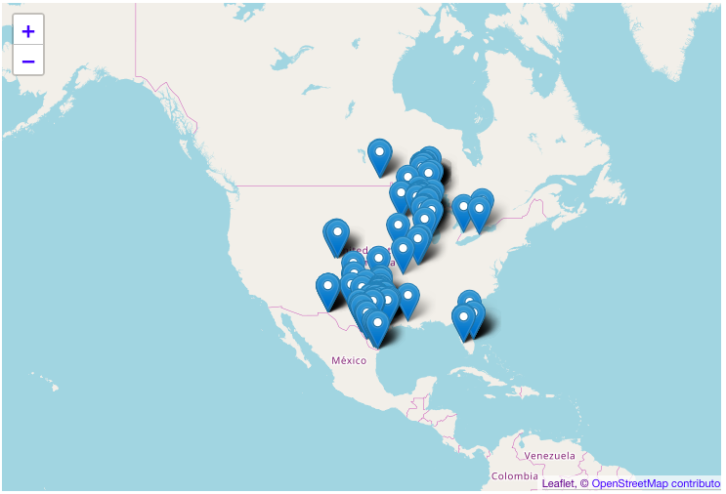 As you may have noticed, my blog entries have been a bit of delayed. 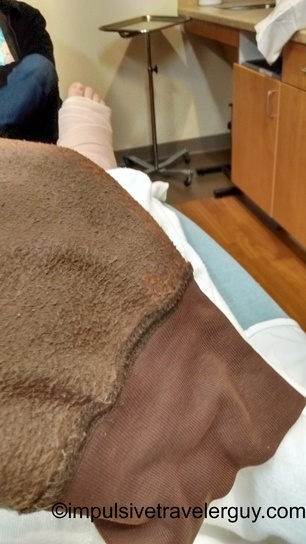 Right now I am recovering from a broken leg that happened during this blog entry. 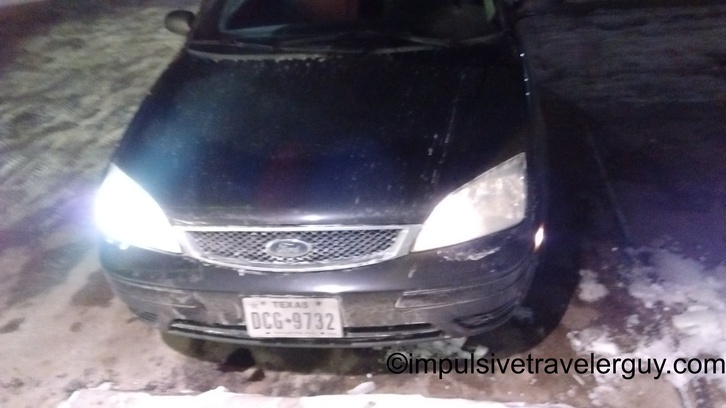 After my night out in Thunder Bay and the exploring I did the next day, it was time to head back to Marshfield to party on New Years Eve with my friends. I decided to take a video of the drive down the North Shore from the US Border to Duluth. This was the same route I took in my border to border video. Obviously the quality is better with my Garmin VIRB than the cheap cell phone I used. I also took a video of driving through the tunnels of Duluth. After the tunnels, was the drive on the Blatnik Bridge from Duluth to Superior. I then let the camera rest and drove the rest of the way back to Marshfield. After getting to Marshfield, I dropped my stuff off at my parents and hit the road for Stevens Point to party by a buddy’s place. As I started driving, I noticed the road wasn’t lit up too well. I pulled over on a side road and found I had a burnt out headlight. I decided to drive to Advance Auto and get a replacement. Within a couple minutes, I swapped out the burnt out headlight and was good to go. Since Baltus was right there, I decided to pick up some beer for the night. 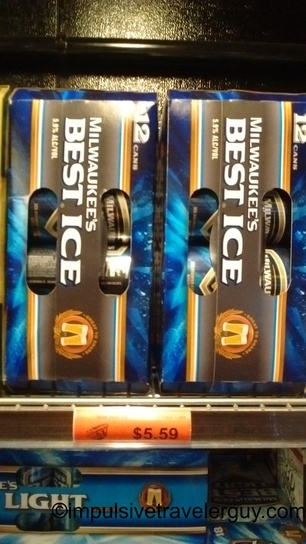 I was chatting on Facebook with Ryan, a friend I made up in Thunder Bay, and sent him a picture of how much cheaper beer is in Wisconsin. 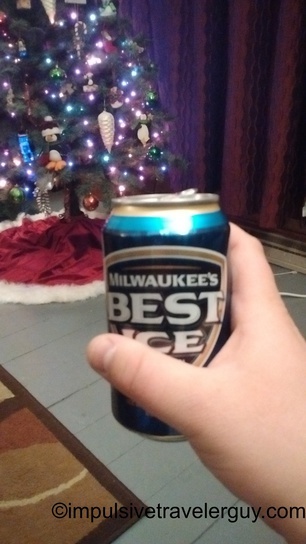 He was amazed at how cheap it was, especially the cheap Milwaukee’s Best, aka Beast, I got. Ironically I said, “Beer is cheap here but don’t get hurt while drinking because health care is expensive.” This was ironic as you will soon read. After filling the car up and picking up the beer, I made it to my buddy’s place to start cracking open some of those beers. Out of all people I drink with, this is the only group that still plays drinking games. 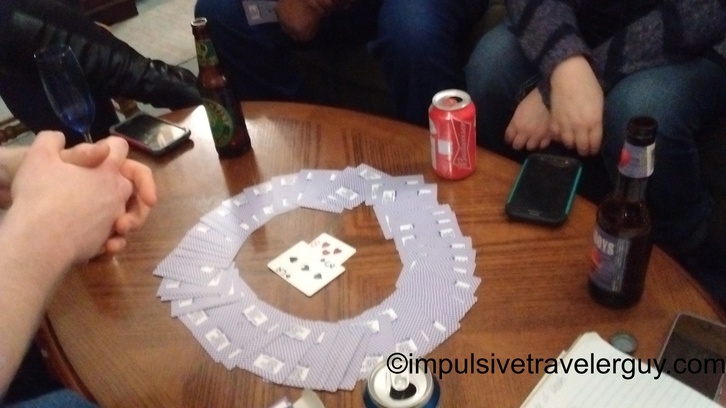 We played Circle of Death. 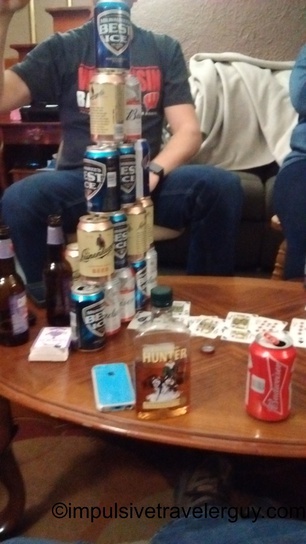 After a while of playing, we got a nice beeramid going. 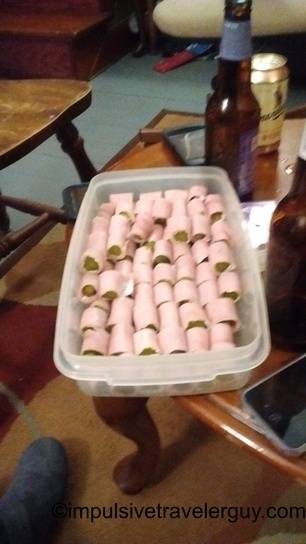 We chowed down on ham wrapped pickles. After a little more pregaming, we hit The Square in downtown Stevens Point. First stop was Brickhause. It was packed. As you can see, there was a lot of snow and ice around. It was so packed, we ended up getting split up. 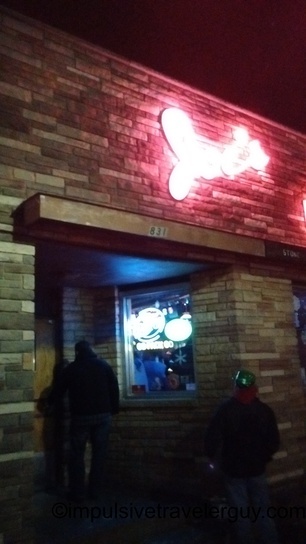 My next stop was Joe’s bar, a long time staple of The Square. 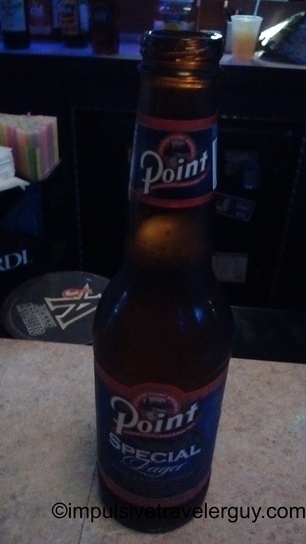 When in Stevens Point, drink a Point. 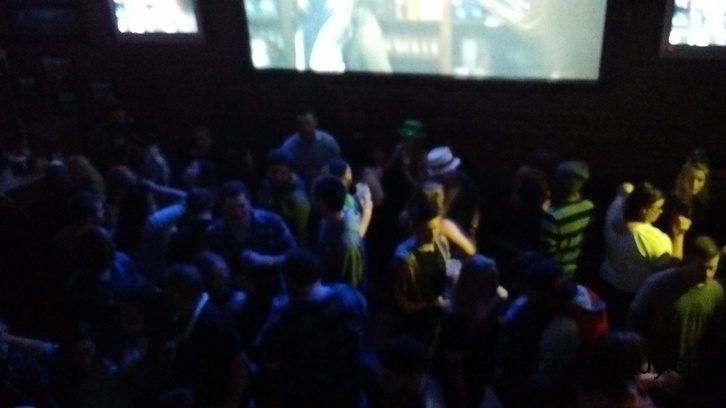 Joe’s was packed, so I decided to go to Graffiti’s and see if the group was there. Nobody was really answering their texts so I sat a while waiting. 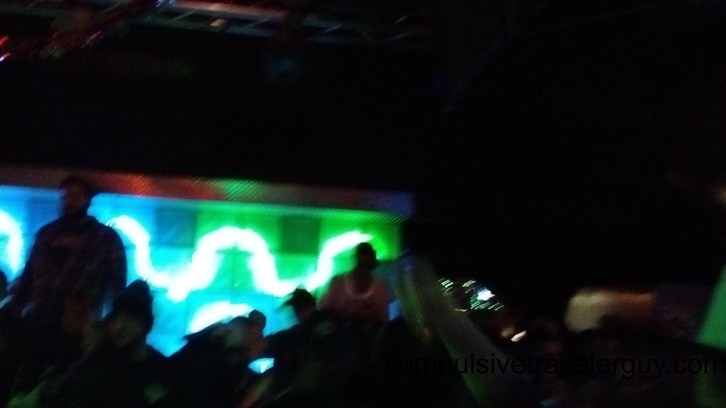 Graffiti’s was also packed. Finally, Jake responded back. He too had been split up from the group and we decided to meet outside of Graffiti’s. 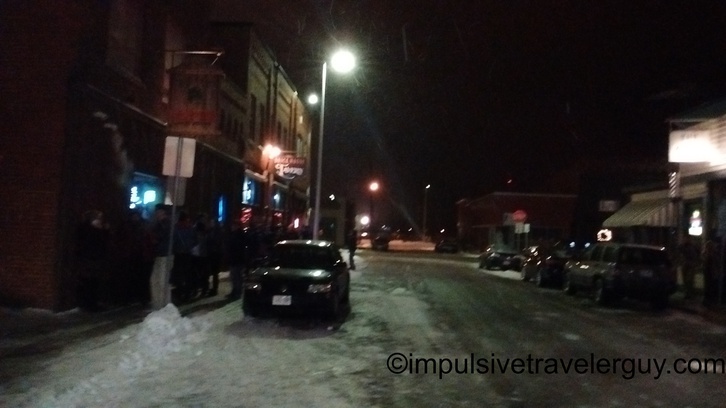 While bars in Wisconsin can stay open all night New Years Day, it was getting late and we were getting tired. We decided to walk back to our buddy’s place. Since it was a bit cold, we decided to stop at a bar along the way to warm up and have another beer. They had karaoke going on. During the karaoke, some guy started playing his harmonica. We finished our beers and started walking back. The streets we were walking on were dimly lit. In my drunken state, I was not paying close enough attention and suddenly slipped on some ice. As I tried to get back up, there was a sharp pain in my leg. I knew I most likely broke something because I could put any weight on it. Jake tried to help me up and walk a step but I couldn’t walk on the leg. There was this brick wall sort of landscaping next to the sidewalk so I sat down on it. Jake called the ambulance, who came to pick me up. 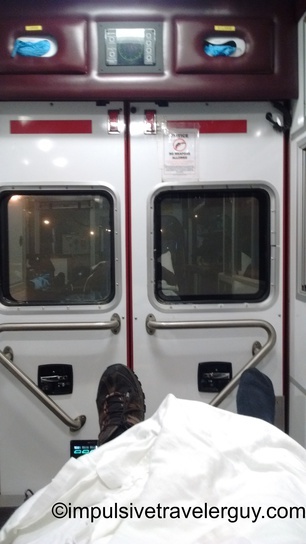 They took me to the ER, where I did find out I broke my fibula. They then splinted it up since it was still very swollen. I called my parents and they came and picked Jake and I up. 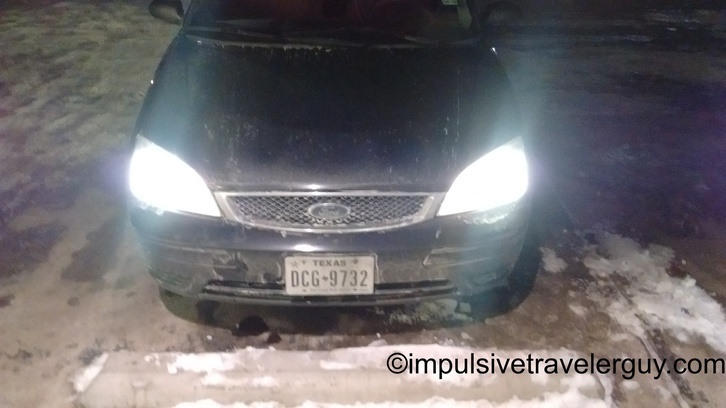 My dad grabbed my car and then I went back to their place, where I have been since this happened.